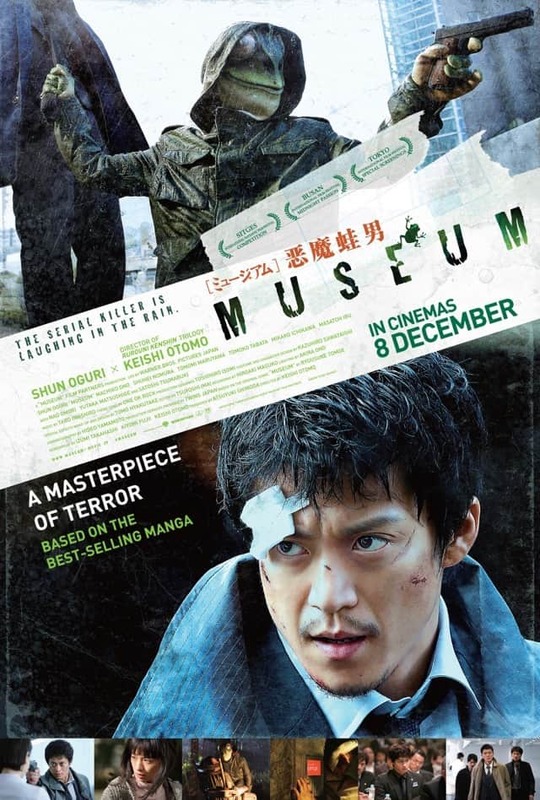 Synopsis: Museum, based on a comic series, is a thriller drama between a detective who will even risk his life to save his family, and a mysterious psychopath serial killer, whose identity is hidden behind a frog mask. 1. The Contest begins on 29 November 2016 and ends at 1200 hours on 5 December 2016. 2. The Contest is open to participants residing in Singapore, who are 18 years of age or older as of the time of entry. 3. You are allowed to enter the contest only once. You must be a follower of F*** Magazine’s Facebook AND either Twitter or Instagram account. 4. F*** Magazine reserves the right at any time in their absolute discretion to cancel or modify the contest or substitute, withdraw or cancel any prize without prior notice and without having to disclose any reason.